HOTEL SUNFLOWERis a budget accommodation in Udaipur situated 0.2 km away from Udaipur City Railway Station and 2 km from City Palace.The 2-storied hotel has 10 well-appointed rooms equipped with conveniences like TV, wake-up service and bathroom with free toiletries.HOTEL SUNFLOWER provides various facilities that include front desk and parking facility. 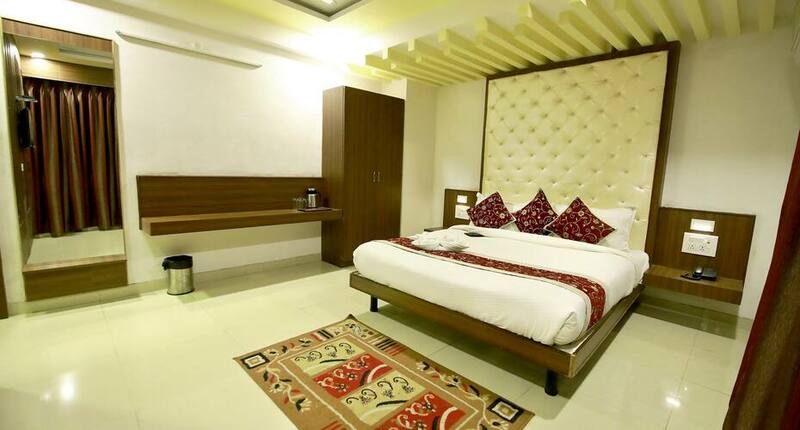 room service is also offered for the convenience of the guests.The hotel in Udaipur is accessible via travel hubs such as Maharana Pratap Airport (23 km). Places worth a visit include Navlakha Mahal (3 km). Full refund if you cancel this booking by 27-Apr-19 12:00 PM IST. No refund if you cancel this booking later than 27-Apr-19 12:00 PM IST. The hotel was not bad compared to the charges we paid for the rooms. However, the rooms were priced at a higher side but we understand that it was due to the peak season and tourists were pouring in for vacation. When I along with some of my friends arrived at the hotel about 10.30 AM, the owner (Mr. Vijay Raj)sitting at reception asked us to sit and wait as the rooms are getting cleaned. after waiting for half an hour he said your check in time is 12 PM so by that time you need to wait. We thought the rooms are occupied and hence he is asking to wait. But when we asked if the rooms are vacant, he said YES and you can pre-check-in by paying Rs.300 per room or wait till 12PM. When we told him that we have arrived only an hour or so earlier and also the rooms are also vacant then why the pre-check-in charges? I mean, we understand that if one arrives at the hotel say 5-6 hrs earlier, it is okay to charge but just for an hour it didn't seem right. However, he started arguing with us and it his tone was very rude. We didn't feel welcomed at this hotel at all. Instead of waiting more we paid the extra charges and moved to the rooms. The rooms were okay. We had running hot waters but the washrooms were not clean. Don't expect a very nice view from the windows. Overall, an average hotel with an arrogant owner! I stayed here in june 2018 with my family, hotel is located near the railway station and well connected to each tourist destination, deluxe room was bit small but neatly maintained by the staff, but i decided to stay in Suite room which was spacious and much more beautiful. comfortable bed, fine working AC. there are many restaurants available in the surrounding area. Go and enjoy your stay. Hotel is to good. I was booked Deluxe A/c Room. Food is so tasty. Room and Bathroom are so clean and maintained. Staff behaviour is very helpful. All are very amazing. But Food price is so high. Don't use travel desk. Common toilet facility is very bad.